Thanks to iconic songs, Frank Sinatra’s name is synonymous with New York, Chicago, and even Los Angeles (thanks to the track “LA Is My Lady”). That being said, Sinatra’s true home was in the desert, and this passion is spotlighted with the documentary Sinatra in Palm Springs – The Place He Called Home. The desert town was the main residence during his marriage to actress Ava Gardner, and for the rest of his life the entertainer lived on the fabled Rancho Mirage compound on Frank Sinatra Drive. Featuring over 70 movie and TV show clips and archival footage, the documentary also contains interviews with Barbara Sinatra, entertainer Trini Lopez, comedian Tom Dreesen, and restaurateur Mel Haber. 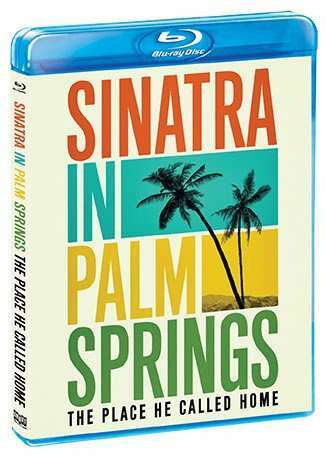 Sinatra in Palm Springs – The Place He Called Home hits Blu-ray and DVD on June 11 via Shout! Factory.